New! KastKing Propel Fly Fishing Line - Weight Forward Floating Lines for Freshwater - Welded Loop - Included Fly Fishing Line Backing, Quick and Easy - BioSpool - Available in 3 Colors, Super Value! SPECIAL DESIGN - Propel fly fishing lines are 90' long and feature a weight forward design and high floating characteristics that deliver long, effortless casts and easy line turnover because of our unique belly design, short front taper and long running line. BETTER PERFORMANCE - Each Propel fly fishing line is made with a braided, memory free core and uses our super slick, high float surface that improves performance, casting distance and keeps the line floating high in the water for better fly presentations. WELDED LOOP - All Propel fly fishing lines include a single welded loop on the front of the line that makes attaching leaders quick and easy. Welded loop connections slide easily through the guides without hesitation and save set up time. BACKING INCLUDED - Propel fly fishing lines come pre-spooled in the box with either 20 or 30 lb. 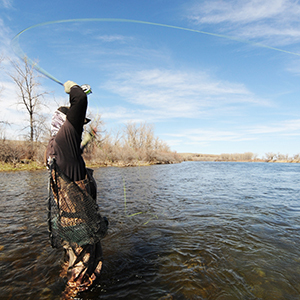 braided fly fishing line backing to help you save even more time and money. The backing comes in lengths from 50-100 yards depending on the weight of the fly fishing line. 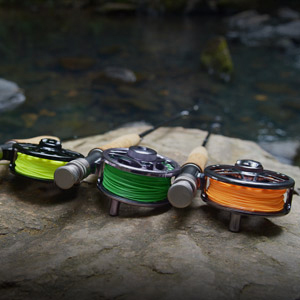 Propel fly fishing lines are available in lines weights from WF3 to WF8 and come in three popular colors. BIOSPOOL - KastKing® has always been a Green Company that has fostered environmental responsibility. 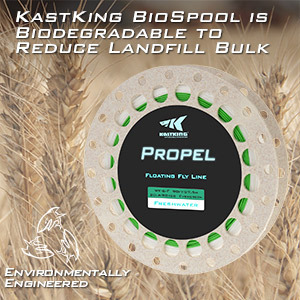 To meet that expectation, all KastKing fly fishing lines are spooled on our award winning biodegradable BioSpool, which is made from wheat straw and unlike plastic spools, will decompose naturally to reduce landfill bulk. 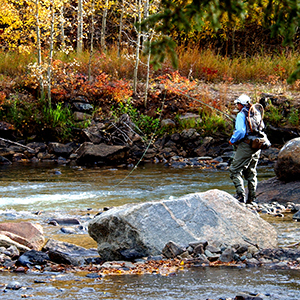 KastKing is a sponsor of Trout Unlimited and we proudly support the efforts of their 300,000 members nationwide to develop and restore natural trout habitat. 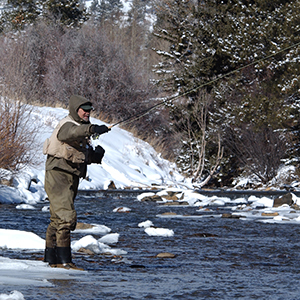 Fly fishing is as much of an art as it is a science, but that doesn't mean that it needs to be difficult or expensive. We've taken some of that difficulty out of the equation with the development of our new KastKing Propel fly fishing lines that include braided fly fishing line backing already attached to the line in the box. 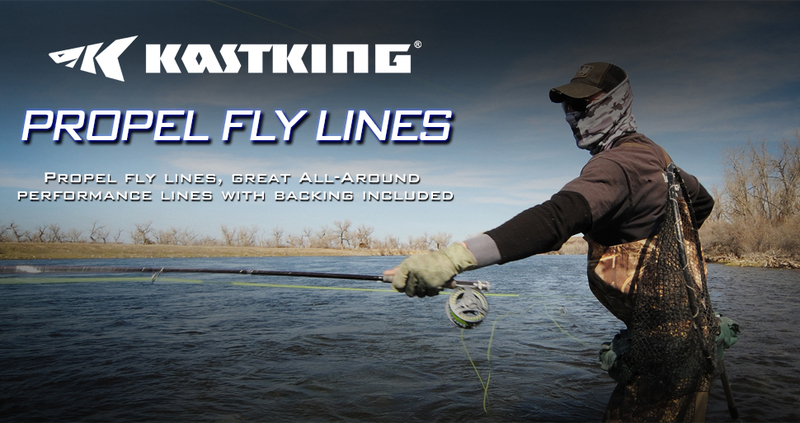 KastKing Propel is a series of weight forward floating fly fishing lines that are designed to float high in the water making line control and pick up easy and fun and are built 1/2 line weight heavier to enhance casting ease and distance. 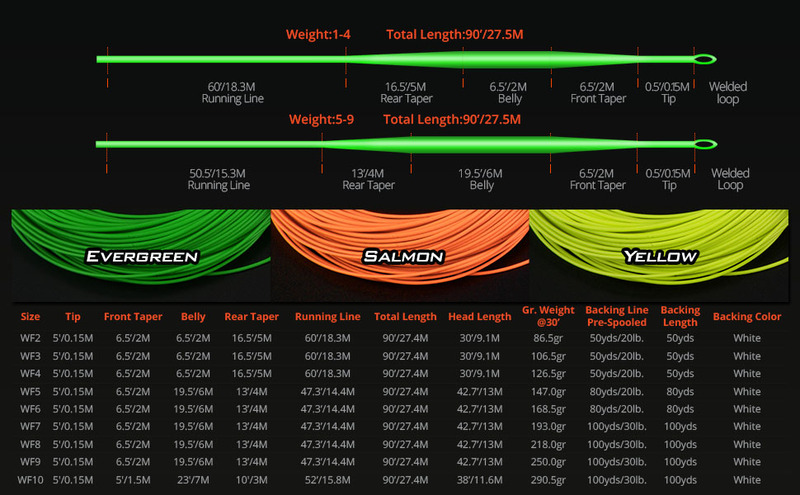 Each line is 90’ long and because of our unique belly design, short front taper and long running line, line turn over and casting is easy and effective. Depending on the weight of the line, we’ve even pre-attached either 20 or 30 lb. braided backing from 50 to 100 yards in length, so you’ll save even more time and money. Each line is coated with our super slick, high float surface that enhances performance and increases distance. 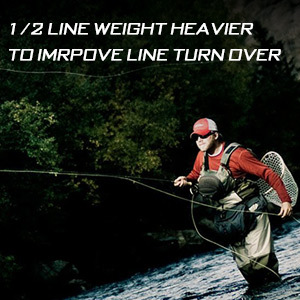 These lines float exceptionally high in the water making for easy line control when mending or roll casting. Each Propel fly fishing line includes a single welded loop at the tip end that makes attaching leaders quick and easy. Welded loops ensure that lines flows easily through guides without any hang ups often caused by thick nail knot connections. Propel fly fishing lines are available in line weights from WF3 to WF8 and are available in three of your favorite colors depending on presentation or personal preference. KastKing has always been a Green Company that has fostered environmental responsibility. To meet that expectation, all Exergy fly fishing lines are spooled on our award winning, biodegradable BioSpool, which is made from wheat straw and unlike plastic spools, will decompose naturally to reduce landfill bulk. KastKing is a sponsor of Trout Unlimited and we proudly support the efforts of their 300,000 members nationwide to develop and restore natural trout habitat. If you can't untangle fly line then you shouldn't be fly fishing. ordered a 4wt and a 8wt. catch lots of fish on it, pure fun, no complains<br />22 bucks for a fly line, I am satisfied. Great fly line, great concept! Excellent fly fishing line with the backing included. What a great idea nd a great product!!!! Good quality but giving a 4 star because spool came apart while putting on and lost a 1/4 of my backing due to getting all tangled up.